The rumors were true. 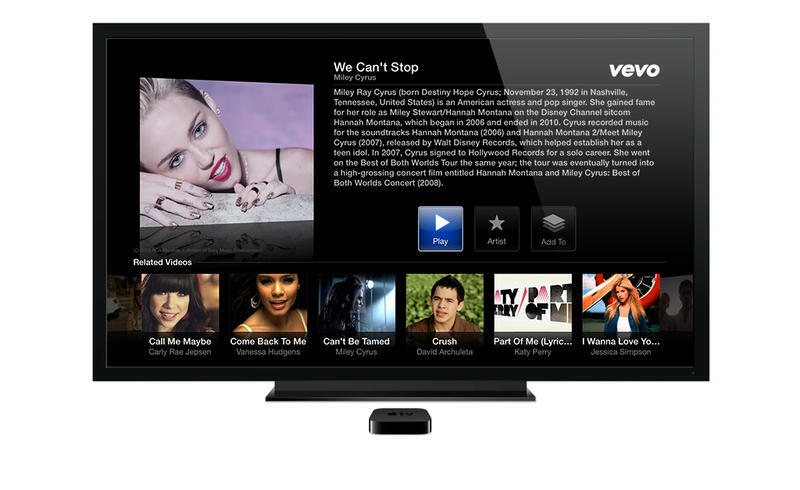 VEVO announced on Tuesday that its services are now available on the Apple TV. 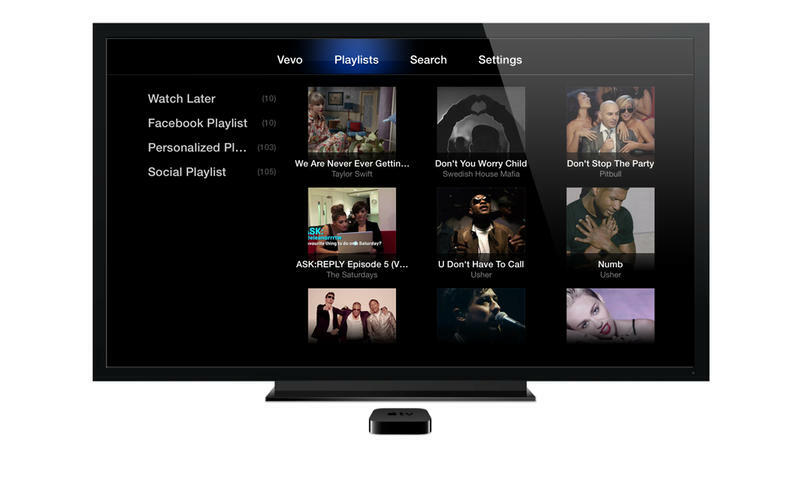 The company now allows users to view any of its 75,000 high-definition music videos, in addition to an option for VEVO users that lets you watch a constant 24-hour stream of music videos in the same fashion VH1 and MTV used to offer music video channels back in the day. The news is in addition to the launch of Disney XD, Smithsonian, Disney Channel and Weather Channel apps, though the VEVO app is particularly important. 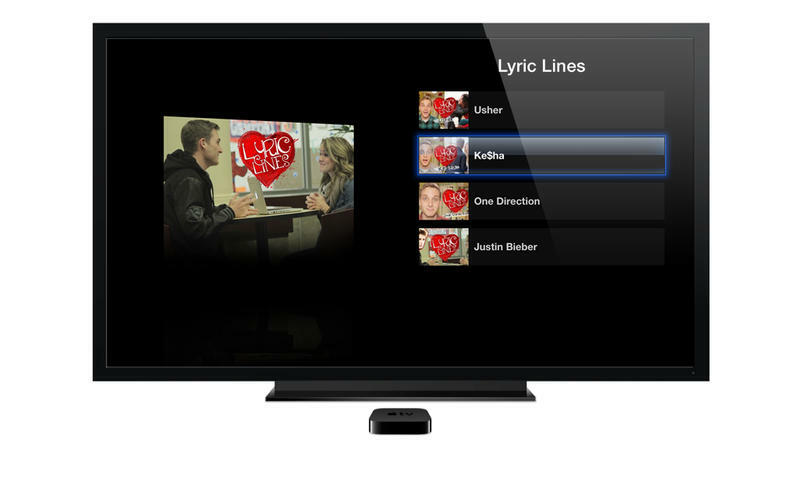 The VEVO application, like Pandora, learns from your tastes and will begin playing content based on your previous viewing history. If you like Jimmy Buffet, for example, it shouldn’t quickly switch over to a DMX music video. 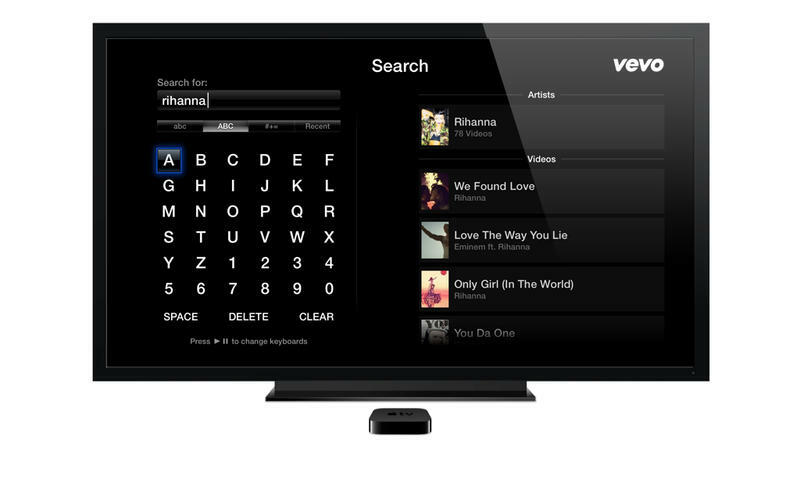 The service also supports searching for new artists, viewing featured videos and watching some of VEVO’s original shows. 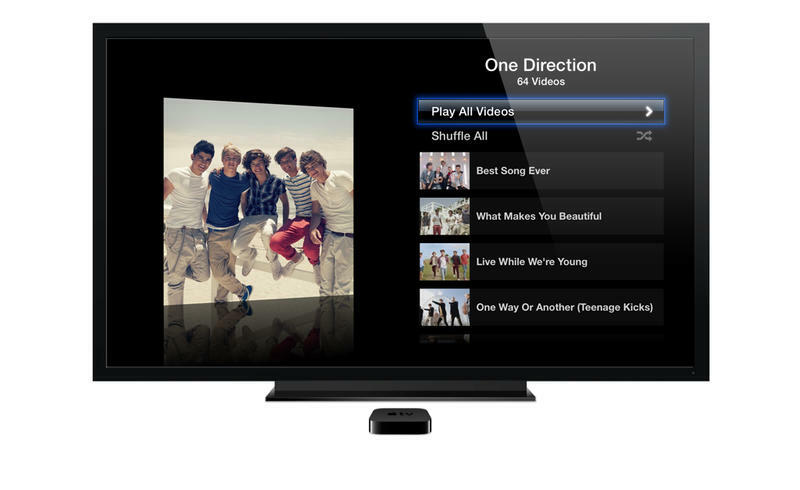 VEVO should be available on all Apple TV units in the United States, Canada, Australia, New Zealand, UK, Brazil, France, Ireland, Italy, Spain, Netherlands and Poland now.